October is my favorite month mostly cuz there are werewolves. October is my favorite month of the year. Not only does it have my second favorite holiday, I also like the raw nip in the night air, the Harvest Moon casting its blue glare over a quiet landscape, the lonely stars glimmering above stubbled corn stalks, the bare limbs of trees hanging like fingers of grey slate in the night sky. 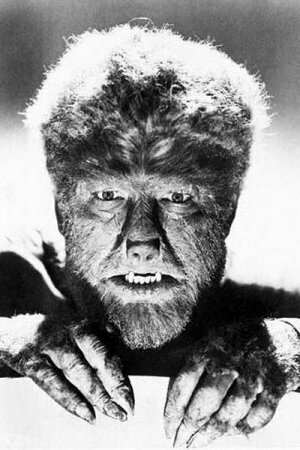 Oh, and it’s great werewolf weather. And then, when I was younger, there are those Halloweens where I dressed as a ghost with a skeleton mask and spooked the neighborhood. Ah, the good old days when all you had to do was dress up and knock on a door to get candy instead of putting on an entire production. And we didn’t just get candy. We got cookies, candy apples, popcorn balls, all kinds of home baked stuff and not just lame chocolate bars that taste like wax. And you kids get off my lawn! Yup, I love me some October. Nip? What kind of ‘nip’ do you get in Texas? We get TCM and AMC up here now too. I can hardly wait to see those old movies! !